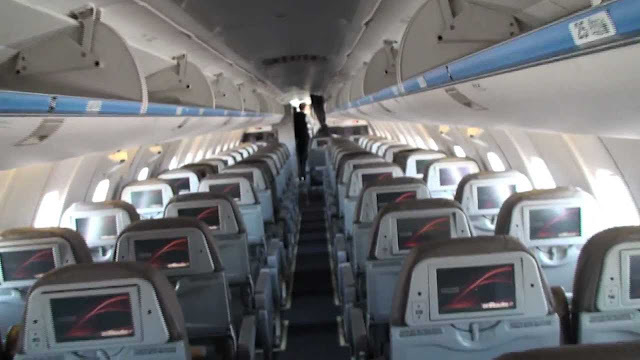 The San Jose Blog: Air Canada is Returning to San Jose!!! Air Canada is Returning to San Jose!!! SJC is on a tear when it comes to landing new international routes this year. Five years ago, San Jose International Airport was barely earning the right to use the word "International." The only routes outside the US were to Mexico. Then in 2012, ANA announced their nonstop to Tokyo. While that was a significant milestone, 2013 and 2014 came and went without any additional big news. Then the floodgates opened this January when Hainan announced a nonstop to Beijing. That was followed by British Airways announcing a direct flight to London in September. If that wasn't enough, SJC scored a surprise hat trick the following month when Lufthansa revealed a flight to Frankfurt. What a year for the airport, how could it get any better? Well it just has. Air Canada just announced they are returning to San Jose with a twice-daily nonstop flight to Vancouver! The airline ceased operations at SJC shortly after 9/11 fourteen years ago. It's great to have them back. 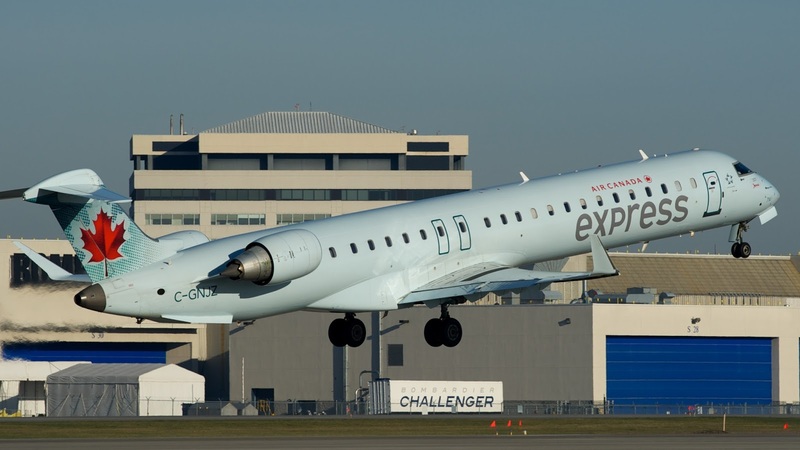 The route will use a Bombardier CRJ705 regional jet. It is a smaller plane than what is used on San Jose's other international routes, but the flight is only two hours and 15 minutes long. It also means there are no middle seats (see second image below). The plane will have 65 coach seats and 10 business class seats. Every single one of them will have a personal video screen and a USB port. Air Canada flights will leave San Jose at 7:30am and 1:25pm seven days a week starting on May 9th. Flights will return home from Vancouver at 10:35am and 5:15pm. You can already book flights today. This will become San Jose's 7th international route (Guadalajara, Cabo San Lucas, Tokyo, Beijing, London, and Frankfurt are the others). More good new for the city and airport! Hopefully all these flights will be successful and long lasting. Rumors are the next new international destination will be Seoul, South Korea on Korean Airlines.